The success of the Storm Streamline 2 ball roller continues. The quality, price, and features of this bag are hard to beat. This bowling bag no only holds two bowling balls and shoes but there is plenty of room for accessories plus Storm has given it a 5 year limited manufacturer's warranty. 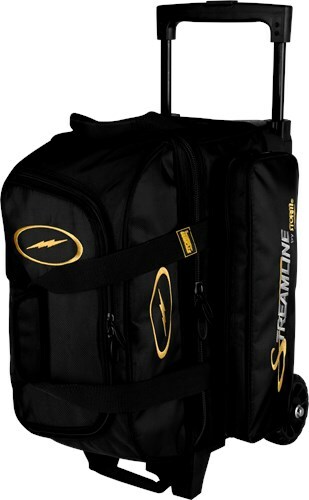 does the storm streamline have a carrying strap ? Due to the time it takes to produce the Storm Streamline 2 Ball Black Roller ball it will ship in immediately. We cannot ship this ball outside the United States.